Gateway Seminary offers master's degree programs that combine the best of academic studies with significant professional training to prepare men and women called to a multiplicity of ministry expressions. Done within small class settings, professors join students in a pilgrimage of learning that often resembles a mentoring relationship. Embark on a lifelong journey of personal, spiritual, and professional growth with Gateway's Master of Divinity. Eleven concentrations and a host of electives to choose from allow you to customize your degree to the ministry you want to pursue. Gateway's Master of Divinity - Advanced Track is for students who have significant preparation in biblical, theological, or applied Christian studies at the bachelor's level. The Advanced Track allows you to tailor your degree to build upon previous learning. Prepare for Christian ministry in any cross-cultural context with the Master of Missiology. Choose from concentrations in global or urban missiology, or take classes in church planting and intercultural understanding. Equip yourself for multicultural and multiethnic ministry both at home and abroad with a program that seeks to prepare students to impact the world for Christ in environments that are increasingly diverse. The Master of Theological Studies is a foundational program that provides the theological groundwork for personal enrichment, ministry enhancement, and further graduate study. Gateway's Master of Arts in Christian Counseling equips church leaders and ministry partners to care for and counsel people in a context based on biblical and theological foundations. The Master of Arts in Educational Leadership prepares students to effectively lead educational ministries in a variety of settings, including churches, parachurch ministries, and denominational agencies. One of Gateway's three advanced research degrees, the Master of Theology requires students to be at a campus only four times per semester. Classes taught in a seminar format encourage students to have dialogue with one another, as well as with fully engaged and experienced professors. Gateway's advanced degrees are academically rigorous, intended to prepare students for lifelong educational and ministerial pursuits. Seminar-style classes and small cohorts encourage students to create community while they learn, encouraging one another in advancing their ministries. 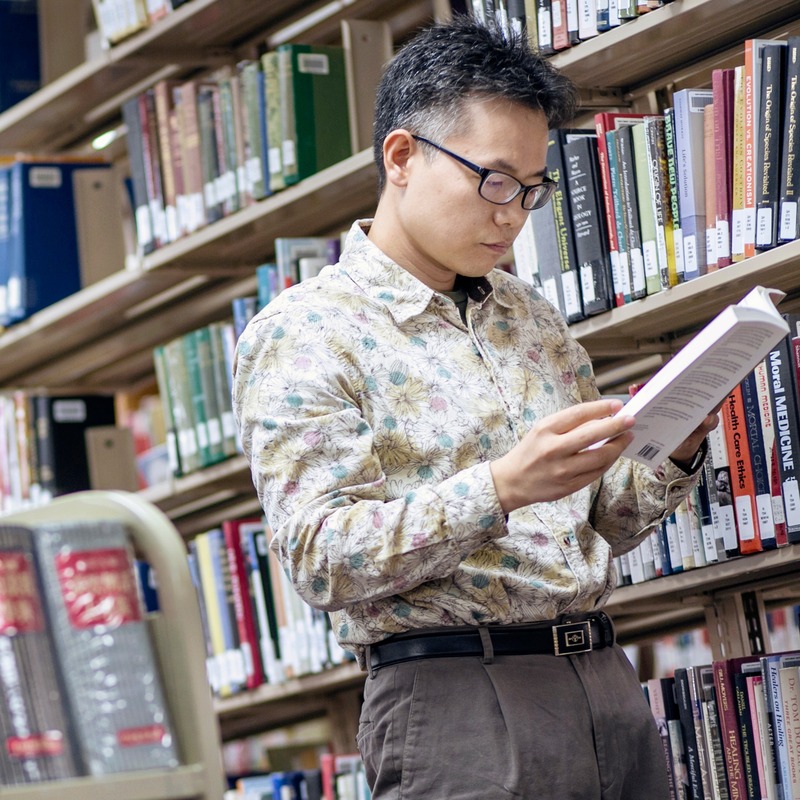 Pursue advanced academic research with Gateway's Doctor of Philosophy program, which offers two majors of study in Theology or Biblical Studies. Designed to enhance your ministry, not take you away from it, Gateway's Doctor of Ministry program encourages you to mature in your ministerial leadership identity, understanding, and skills. Gateway's diploma and certificate programs provide opportunities for students without bachelor's degrees to learn specialized skills that will enhance their ministries. With options available at every campus and online, there's something here for everyone, no matter what your needs are. The Diploma in Theology offers ministerial training for people called to full-time ministry who don't have an undergraduate degree. It shares much of the same coursework as the Master of Divinity. Students in the Diploma in Educational Leadership program are equipped for non-preaching professional leadership positions in churches, parachurch organizations, and other religious institutions. It shares much of the same coursework as the Master of Arts in Educational Leadership. Gain a deeper understanding of the content and message of the Bible and learn how to best teach that message with Gateway's Certificate in Bible Teaching. The Children's Ministry Certificate prepares students to minister to children and their families in the 21st century. Gateway's Certificate in Church Planting is designed to give students a greater insight and instruction in church planting methods, as well as help students create a network of church planters in their area. Equip yourself to effectively minister to college students with the Certificate in Collegiate Ministry's courses geared toward training in discipleship, evangelism, missions, and leadership. The Ministry to Women Certificate is designed to equip students who are either in ministry or preparing forministry to women. Specifically designed to meet the International Mission Board's requirements for appointment to ministry, the Certificate in Missions Studies provides the theological and biblical groundwork for missions service. With emphasized training in multiethnic and multicultural communication and a focus on modern issues and topics, the Certificate in Youth Ministry prepares students to effectively minister to young people today. To meet the challenge of equipping church leadership to reach the lost with the Gospel of Jesus Christ, ADVANCE CLD centers across the United States provide quality, Bible-based ministry training. Each center is established under a cooperative agreement with Gateway Seminary, the local Baptist church, and other associations. ADVANCE centers offer certificate and diploma programs to students without undergraduate degrees. Click here to learn more about Gateway's CLD programs. Earn a seminary education anywhere, anytime through Gateway's online learning programs. Classes specifically tailored for online instruction make learning convenient and rewarding for students pursuing an education without leaving their ministries. Click here for more information on Gateway's online programs.